A city that proudly boosts itself to be amongst fastest growing cities of India should deservedly have a world class transport facilities. And mind you, transport in Nagpur or rather transport facilities in Nagpur are indeed equally on par with major metropolitan cities like Mumbai and Delhi. Although Nagpur doesn’t have local train service and even ambitious Nagpur Metro project is far from becoming a living reality as of today; but local transport in Nagpur constituting of local buses and autos rickshaws provide more than efficient service to meet all the transportation needs of the locals as well as incoming tourists to Nagpur. Overall, transport in Nagpur can be categorized into three parts: local buses, auto rickshaws and private local transporters. Below is a brief description/summary about each of these three categories. 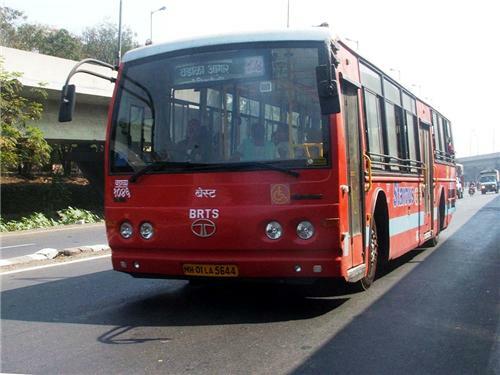 Like all other major cities, local buses in Nagpur is also run by a government body, namely Nagpur Mahanagar Parivahan Ltd and bus service is popularly called or referred as NMPL buses by the locals. The entire administration of NMPL falls under the jurisdiction of Nagpur Municipal Corporation. NMPL buses are to Nagpur what BEST buses are to Mumbai. In other words, they are the very lifeline of Nagpur city. The livelihood of millions of Nagpur people is solely dependent on the efficient operation of NMPL buses on daily basis. In fact today for common people of Nagpur, even a single day without NMPL buses is simply unthinkable & unimaginable. This enormous dependence on NMPL buses is obviously because it is the cheapest mode of transportation in the entire city and also for the fact that it connects commuters to every nook & corner of the city. NMPL bus stands are also located in every important landmark places of the city, which of course facilities in easy transportation of people across the city. Lastly & more importantly, an important fact pertaining to the administration of NMPL. From 2007 NMPL started operating on PPP model (public private partnership), as Nagpur Municipal Corporation (NMC) rented its bus service to a private player Vansh Nimay Infraprojects Ltd (VNIL) on contractual basis. NMC’s decision to go for PPP model was obviously made to minimize it’s rising expenses. However, as of today NMC’s ppp partnership with VNIL is almost certainly over and NMC has already started hunting for new private partner for running its buses. NMC’s decision to end its partnership with VNIL was lead by latter’s very poor service and its inability to fulfill committed promises. After NMPL bus services, autos in Nagpur are unarguably the most popular mode of transportation. 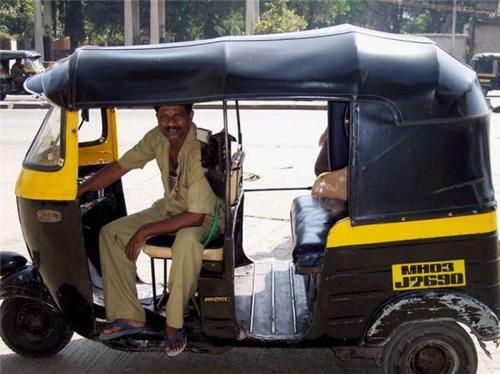 And just like autos in Mumbai, here to autos bear the standard yellow & black color. The biggest auto rickshaw stands are obviously located outside the Nagpur railway station & Nagpur Airport. As of today the minimum fare is Rs11 for first 1Km, and Rs 8 per Km above minimum fare. Another very important fact that surely deserves a mention is that meter based fares/rents is still in the catching up process in Nagpur city, as most autos even today charge fixed rents/fares depending on which location the commuter wishes to visit. Private transporters in Nagpur actually constitutes of tourist agencies & car rental companies. Today there is no dearth of them in Nagpur city. And needless to say, they are playing equally important role in fulfilling the transportation needs of locals as well as incoming tourists. They provide literally every type of car on rent, including Hatchback, SUV, Sedan and many more. Besides, air conditioned bus services like VRL & Volvo are also available for long distance tours.